• Afternoon arrival at our hotel, the Villa Ark in Stobrec, Croatia, located 15 min. outside Split. Transfers from Split’s Resnick Airport are available upon request. 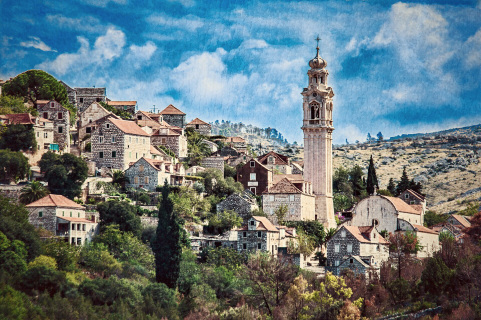 • Weather permitting, travel by boat down the Krka river to Skradin. • Morning departure to Trogir, another of Croatia’s UNESCO World Heritage sites. Set within medieval walls on a tiny island linked by bridges to the mainland, Trogir boasts a profusion of Romanesque and Renaissance buildings, most of which are still intact. This is a delightful town to explore on foot and we'll see a local farmers’ market, fortress, north gate, cathedral town hall and the colorful streets and alleyways around the main square. • Afternoon stop at Kastel Gomilica, a picturesque sea fortress dating back to the 16th century (and the city of Braavos in the Game of Thrones). • Early departure to catch the morning light at Klis Fortress, a medieval hillside fortress with commanding views of the surrounding countryside and the Adriatic. • Afternoon field session in and around Omis and the Cetina River Canyon. We’ll catch the beautiful views driving the switchback road through the canyon and towards the village of Gata. 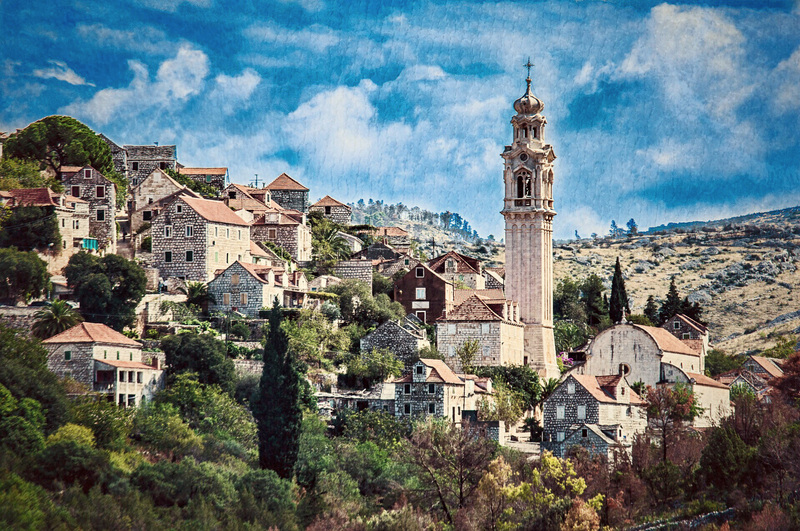 The last three days of the workshop will focus on "island hopping" and taking various day trips from Hvar. The day-to-day details are coming soon! • Early morning departures for ferries to Split, Dubrovnik or wherever your own travel plans lead!